"Dead men tell my tale!" 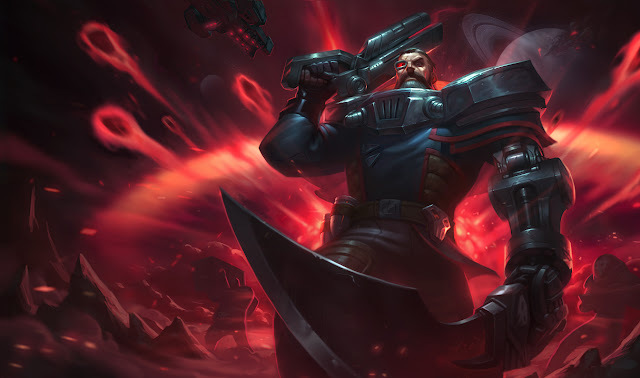 Dreadnova Gangplank is now available for 1350 RP! Earlier today, hostile forces obliterated an outer planet rumored to be the site of classified interplanetary council meetings. Casualties are expected to be in the millions. 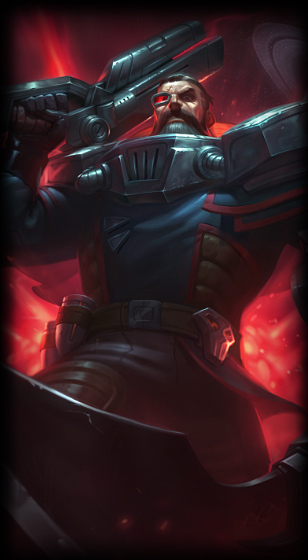 Multiple eyewitnesses report seeing a skull forming on its surface moments before destruction. Other accounts claimed to see a massive, unidentified spacecraft lurking around the area before the attack. Please contact the authorities with any leads on this act of terror. 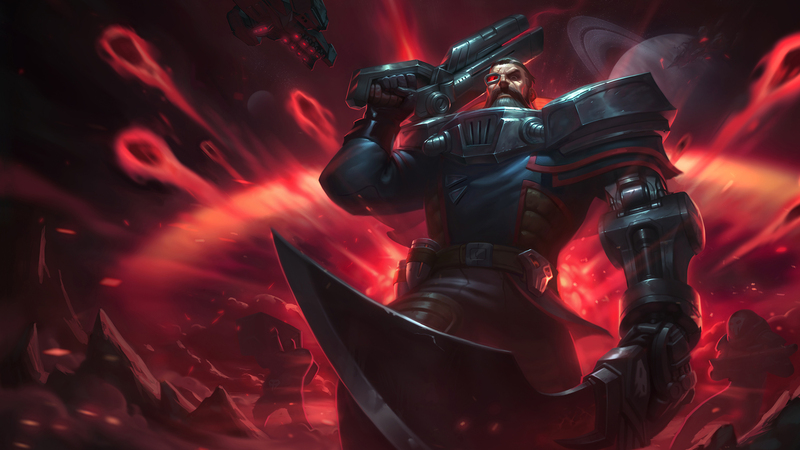 Seize the cosmos as Dreadnova Gangplank, now ravaging the galaxies from the League store for 1350 RP."